Charlie Stump, Yakima’s Driftwood Man, And Other Stories. — That’s a verse from a song I tried to write way back in the 1970’s. I wasn’t able to finish the song. Sometimes, a song just won’t come together. But I’ve kept alive the memory of the man I was writing about…. 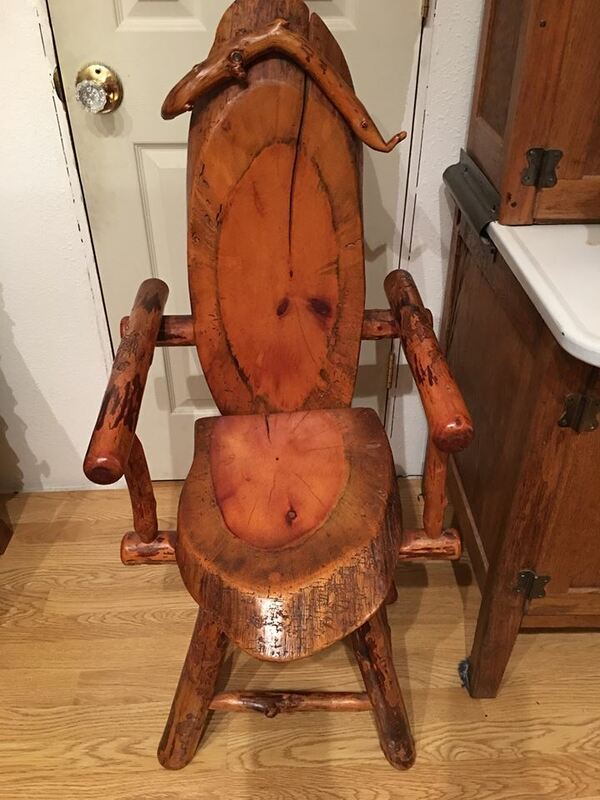 Chair made by Charlie Stump, from Glenda Green Isom’s collection. Photo courtesy of Glenda Green Isom. Did you know, or have you heard of Yakima, Washington’s Charlie Stump? In addition to being a very kind, gentle soul, he was a gifted artist when it came to creating things out of driftwood. If it could be crafted of driftwood, Charlie probably accomplished it: lamps, furniture, bookends, shelves, planters, sculptures, plaques, clocks, walking sticks and anything else you can conjure up in your imagination. Charlie was married to a wonderful, saintly woman named Irene. By the time I met them in the mid-1950’s (we went to the same church), when I was just a boy, they were already about sixty years old. They were both born in 1896. Their beautiful little house was filled to almost overflowing with Charlie’s driftwood treasures. Our family, consisting of Al Bowles Jr, Jeannie Bowles, Al Bowles III and myself, spent many afternoons and evenings visiting with the Stumps in their home, admiring Charlie’s crafts, and engaging in hours of conversation. And I can honestly say: not a discouraging word was ever spoken. Charlie and Irene had learned the secret to happiness. I think they found it in three things: faith in their God, simplicity, and togetherness. 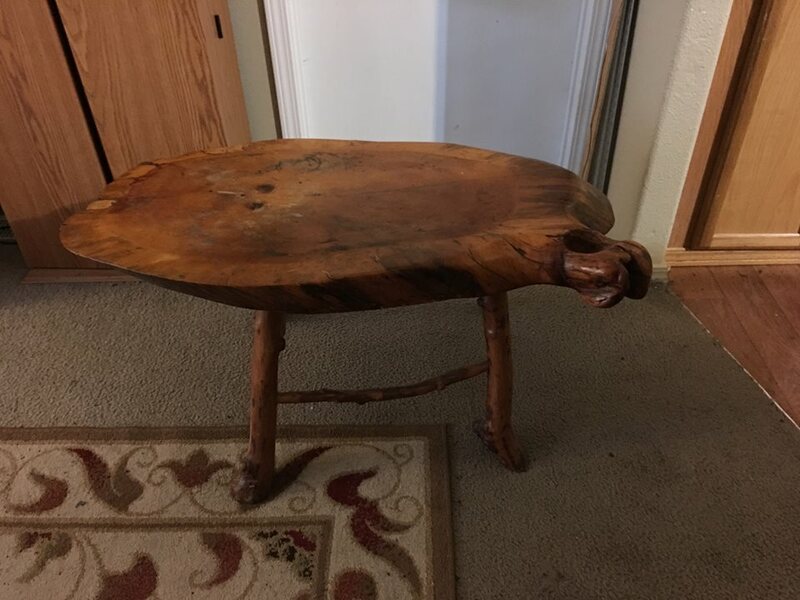 Table made by Charlie Stump, from Glenda Green Isom’s collection. Photo courtesy of Glenda Green Isom. In addition to their home in Yakima, the Stumps had a log cabin in the Eastern Washington woods; it too contained endless numbers of Charlie’s creations. 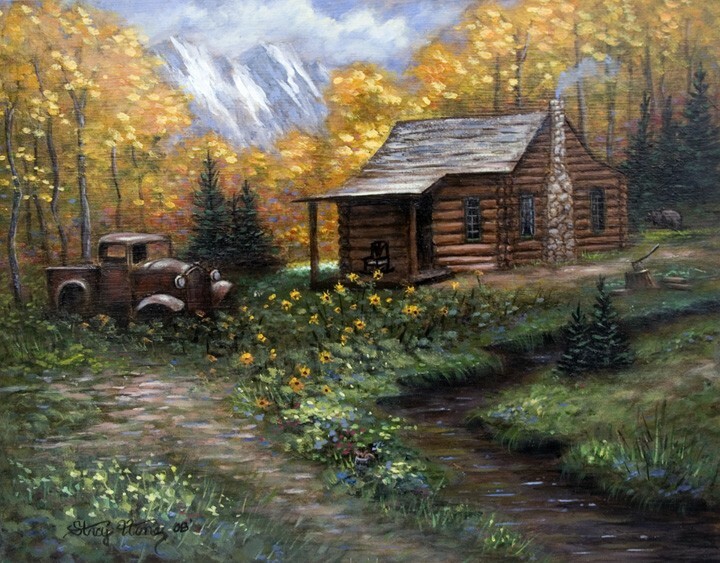 Their wonderful, rustic cabin was located above Rimrock Lake; but it was also near a stream/river whose name I don’t know. Charlie would take leisurely walks along the tree-lined river bank looking for driftwood. And he found it by the truckload! (He may also have collected it at Rimrock.) He carted it home, where he let his imagination and his old, artist’s hands go to work. Lamp made by Charlie Stump, from Glenda Green Isom’s collection. Photo courtesy of Glenda Green Isom. Charlie and Irene were very generous folks. They let my family use their cabin, which I think they called “Stump’s Inn”, on several occasions. I remember how happy and relaxed my parents were when we spent a few days at Stump’s Inn. Once again, we would marvel at Charlie’s amazing driftwood creations, and his woodworking ability, which was evident in every corner of the vintage cabin. My mom was a great Southern cook. (Thanks, Mom, for passing the tradition on to me!) And I must say: her great cooking tasted all that much better when we were dining, seated comfortably around an ancient kitchen table in Stump’s Inn. Everything just smelled, looked and tasted more savory, out there in the woods. 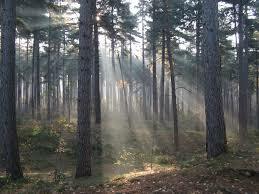 My brother Al and I had the merriest adventures roaming those woods. Sometimes we’d pretend we were pioneers; other times we were trappers; or maybe we were part of Robin Hood’s band…. When we’d walk down to the river, to our favorite spot where it slowed down a bit — where it was calm — we’d see a rock formation in the water that we always thought was a small school of fish. Our imaginations ran wild as we thought of catching those fish. – We didn’t think it odd that we found the “fish” in the exact same formation, in the exact same spot in the river, every single time…. There was a real fancy cabin near the Stump’s. 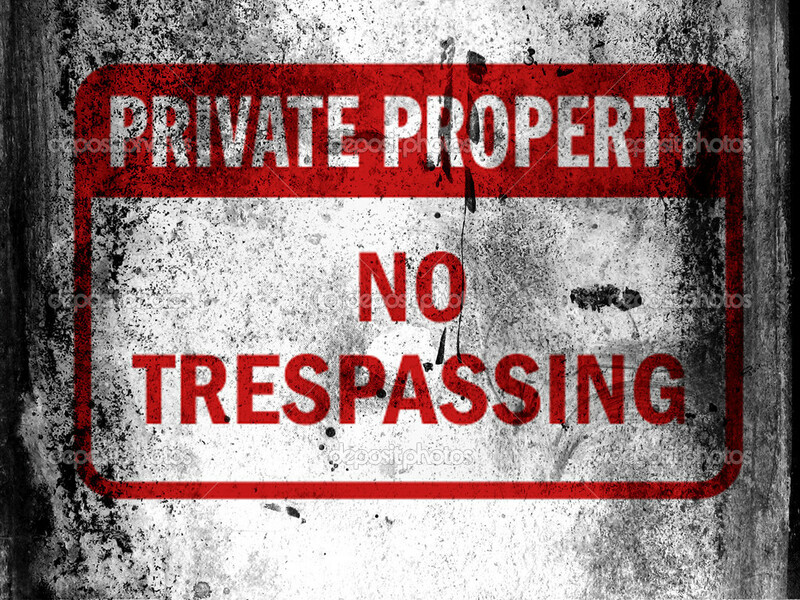 It had “No Trespassing” signs posted all around it. Al and I instinctively gave the place a wide berth. We thought some really mean people must have lived there. And then, on one of our stays, we met one of the occupants. She was the nicest young woman…. 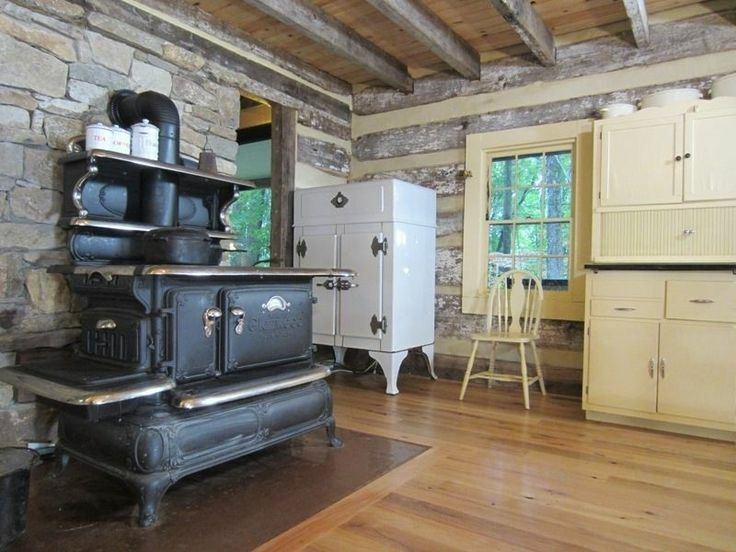 She invited us in, and led us on a tour of the beautiful, upscale cabin. She said her signs were not meant to keep out nice little boys like us. She told us to come visiting anytime. Charlie Stump, a rather tall, thin and bald man, wasn’t the only talented member of the Stump family. Irene took lots of pretty pictures with her camera, which she turned into slides, which she then arranged into very special slide shows. She mainly presented her slide shows at church, or at their home. I remember: every single time we visited Charlie and Irene, my brother and I asked to see a slide show. And we always got one. 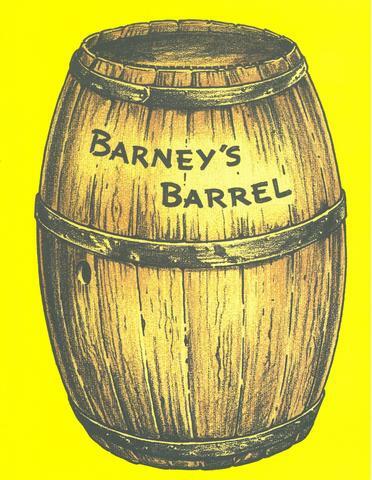 Irene made a fantastic slide show which brought to life the popular, heartfelt children’s book, “Barney’s Barrel”, which was a story about a boy who lived in poverty. Irene took some photos of members of one of the families who attended Missionary Bible Church. I think their name was Glaspy or Glasby. They ended up in the slide show, playing the story’s various characters. That was one popular slide show. Irene must have been asked to show it dozens of times. 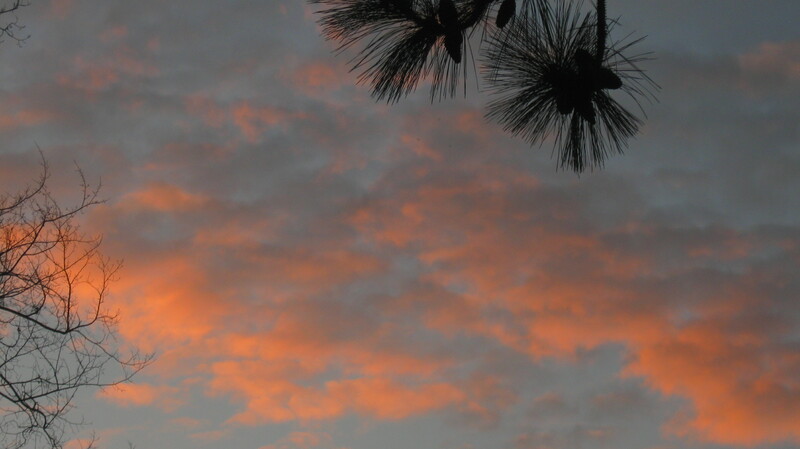 This is not Irene’s sunset photo. It’s one I took in November, 2016. That show contained our favorite photo from Irene’s collection. — She captured a view of the clouds during a Yakima sunset, and said that, to her, it represented what Heaven would look like. And to this day, when I think of Heaven, I think of that photo. Yes I do. Irene had the sweetest, most gentle gray cat. It was the first cat I remember meeting. Most of the kids in my neighborhood (South 2nd Avenue) had dogs; so I didn’t see any cats, at least not up close. But at our request, Irene would hold her kitty up to our ears, so we could “hear it talk”, as she put it. The soft, comforting purr was magical to me. Perhaps I was left with a love of cats, and the unique sound they make; for I have rarely been without one in my own home, whether it be a condo, a cute little gingerbread house, or my current crummy apartment in this Seattle senior building, which is under renovation while we try to live in it. 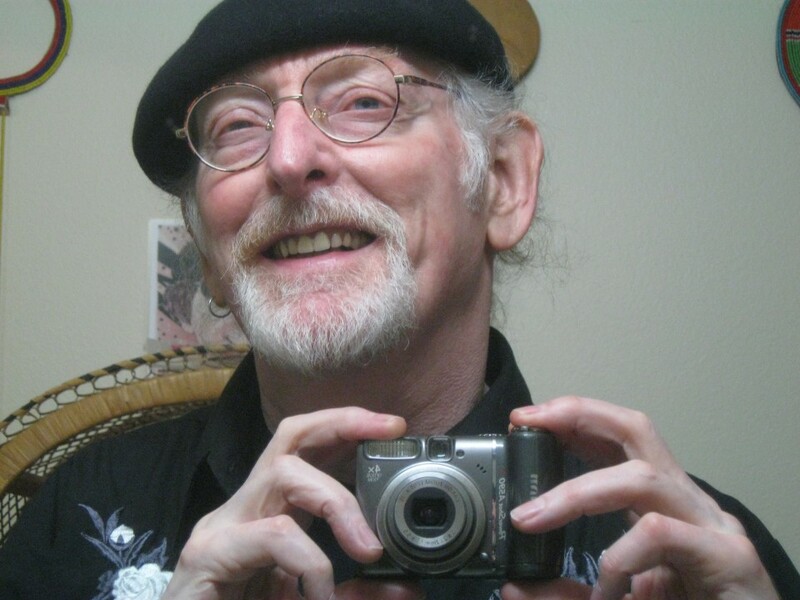 So, back to Howard Pierce: Howard was a pleasant, easy-going guy. He was often present when our family went visiting at the Stump’s home. Although we were just boys, my brother and I enjoyed listening to the five adults chat about any number of things. And Howard’s contributions to the conversations were always interesting and thoughtful. — We boys got along great with him. However, our pastor at Missionary Bible, who I recall was Rev. Wally Roseberg, either retired or moved on, and our congregation needed a new shepherd. Howard Pierce was chose for the position. I was very surprised. Because, even though I knew him well, I didn’t know Howard was a preacher. But he soon took over the Missionary Bible pulpit. And right away, I noticed that he underwent a change in personality. As “Rev. Pierce”, our friend Howard became a lot more strict and stern. His relaxed ways went. He became a perfectionist. That is, he expected everyone around him to behave perfectly. He apparently thought that any deviation from this perfect behavior he demanded would reflect upon his pastoral dignity. Well, my brother Al III was a rebel his entire life. — Even at the age of 11. 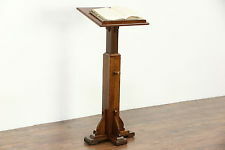 And during a church Christmas pageant, sometime around 1958, where Al was assigned the task of reading verses aloud, from a huge bible on a big, old, wooden lectern, a shocked congregation looked on with alarm, as the lectern and bible slowly tipped over and fell to the floor, where they landed with a very loud thud, totally wrecking the mood of the Christmas pageant. This happened right as Al finished the reading. The look on his face was priceless: he looked so innocent, helpless and surprised to see the huge book stand do its best Leaning Tower of Pizza impression, while taking things a step farther by actually toppling over. I know Al did it on purpose. He gave it just a little push in order to throw a monkey wrench into Howard’s perfect Christmas pageant. Howard was livid. 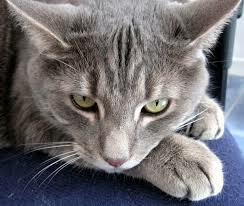 He castigated my brother in front of the congregation. My brother just stood there, looking all innocent…. Howard eventually married a very nice woman from out of state. I can’t remember her name (it was something like Marni, or Marti); but I remember how much nicer than Howard she was. She had a special thing she would do to get all the church kids laughing. 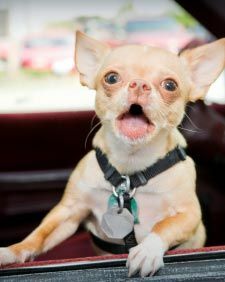 She would bark like a little, angry yap-yap dog. We’d ask her over and over again to bark for us; and she always did. While writing the first of many drafts of this story, I asked the question: could any of Charlie’s driftwood creations have survived? — My internet search had turned up nothing. But, his work was so beautiful that I was sure someone would save something. So I made a post on a great Facebook page, “Growing up in Yakima WA”. I asked folks for any info/photos/stories they could share. And I heard back from the person who supplied the photos for this story: Glenda Green Isom. Charlie and Irene gave her family the table, chair and lamp pictured here. I’d like to offer my thanks to Glenda for the photos, because they absolutely made the story. And my day. My week. – I actually cried tears of joy when I heard from her. (Glenda also generously supplied information regarding where Stump’s Inn was situated, plus other pieces of info and insight, including the fact that the Silver Beach Resort near White Pass has more of his work in their restaurant and motel.) It’s good to know that Charlie’s work made it into the hands of at least several good people, and that it lives on, to this day! 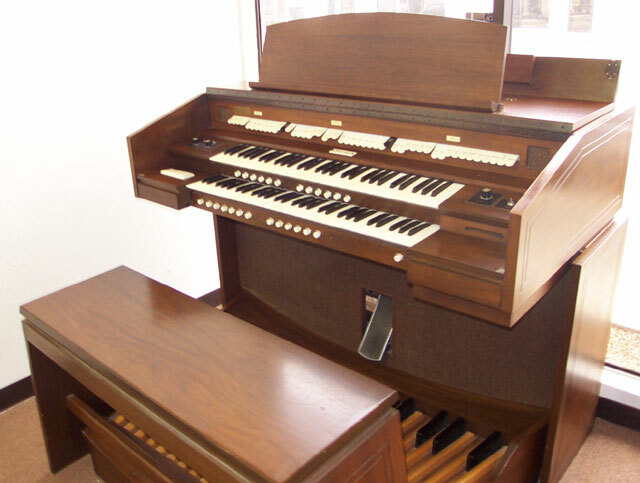 I recall that, during this same time period, we had the most talented organist at Missionary Bible Church. I believe his name was David Palmer. I’m pretty sure about the Palmer part, anyway. He had a beautiful wife and child, whom the whole congregation loved. For several years, he graced many a church service with his organ music. We all thought he was the best there was. In spite of all his talent, he was such a humble, kind young man. Well, David Palmer developed leukemia, at a time when it was pretty much incurable. Over the course of about a year, we, his friends and admirers, watched him begin a slow, painful decline. He had to give up his position to another organ player, because he no longer had the strength or stamina to play for our services. 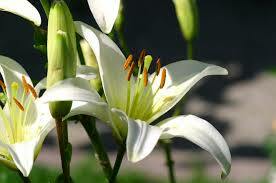 However, I recall one Sunday: we all had our eyes closed, as we prayed silently while the new organist played. The music stopped for a moment, and when it started back up it sounded a little different. When the song was over, and everyone opened their eyes, we saw that David Palmer was once again sitting behind the keys and pedals of our beautiful church organ. He addressed the congregation: “I asked the Lord to let me play for you one more time, in order to show my love and gratitude for all that you’ve done for me and my family”. The young father and husband passed away not long after that amazing Sunday. — Many years later, I dedicated nine years of my working life to having a career at Fred Hutchinson Cancer Research Center and Seattle Cancer Care Alliance, where I am proud to say, tremendous progress was made in developing treatment protocols for leukemia, and many other cancers. Thanks also go out to Alan J. Benny for his helpful comments on my Facebook post, which aided me in putting this story together. 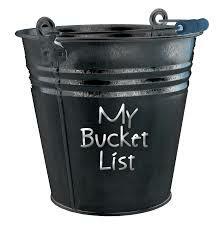 Bucket List Checkoff: DNA Analysis Lays Waste To My Family Stories! I am like the most lily-white guy on Earth! This is so contrary to the two family stories my parents told me (which follow). The Colville Reservation is the red area of the map of WA state. I’ve even blogged about my awesome “Native American blood” in a story I called, “Our Very Own Pow-Wow Highway Adventure!”, which you can find in my archives. 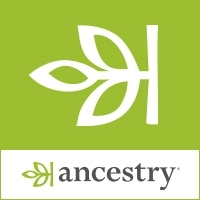 Mom’s family story: we have African blood. Mom and I were watching an episode of the amazing “Roots” TV series, around 1976, when she started to cry. She blurted out, “We probably have African blood. Since the Randolph’s were notorious slavers (Mom’s maiden name is Randolph; it is my middle name), there’s a very good chance that, well, something happened, and yes, it may have been a very bad thing. But we probably have African blood.” Well, I cried too. And I’ve spent a good forty years pondering upon the possibility. I’ve tried to shed the best light possible on the story – that of two people falling in love. As opposed to other unthinkable scenarios…. 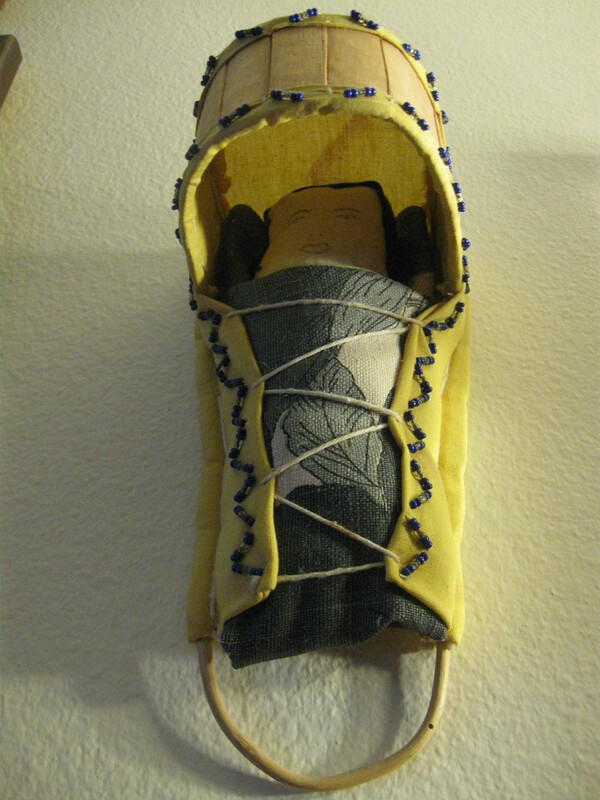 Apache cradle-board doll, from my collection. 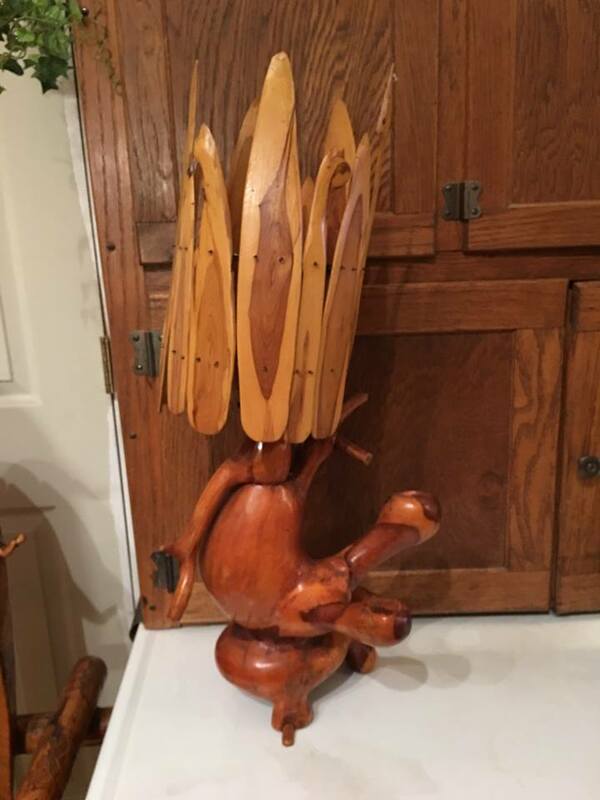 I’ve been collecting Native American and African art for years. I’ve gone to more than a dozen pow-wows. 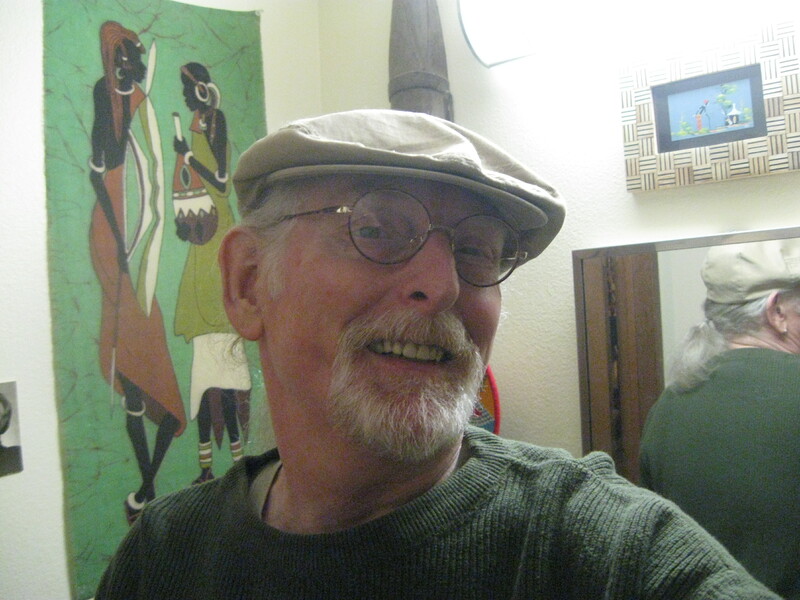 I go to the African/African-American celebration called Festival Sundiata every year, at Seattle Center, our great gathering place located near my senior citizen’s apartment. – I don’t do these things because of the family stories; I just happen to be very multi-culturally oriented. Well, thanks to Ancestry DNA, I’ve learned that both stories were fairy tales! I’m English (British Isles) and Irish, and some Western European. I do have 1% Caucasus blood in me, but that’s as non-Western European as I get. And the West European part may include a tiny bit of Mediterranean/Spanish. But basically, I found out I’m way, way more “white” than I ever thought. I guess I’m sharing my story in order to encourage you to spend a little money and get your DNA analyzed (with whatever company you choose – this isn’t an endorsement for a particular company). And then, be prepared to be underwhelmed, and perhaps quite disappointed, as I was. I really hoped the family stories are true. I feel rather naïve. But, if I can’t believe my dad, who can I believe? — Well, in my family, everyone believed everyone. And no one knew the truth, until I got my DNA analyzed. We’re all brothers and sisters under the skin. 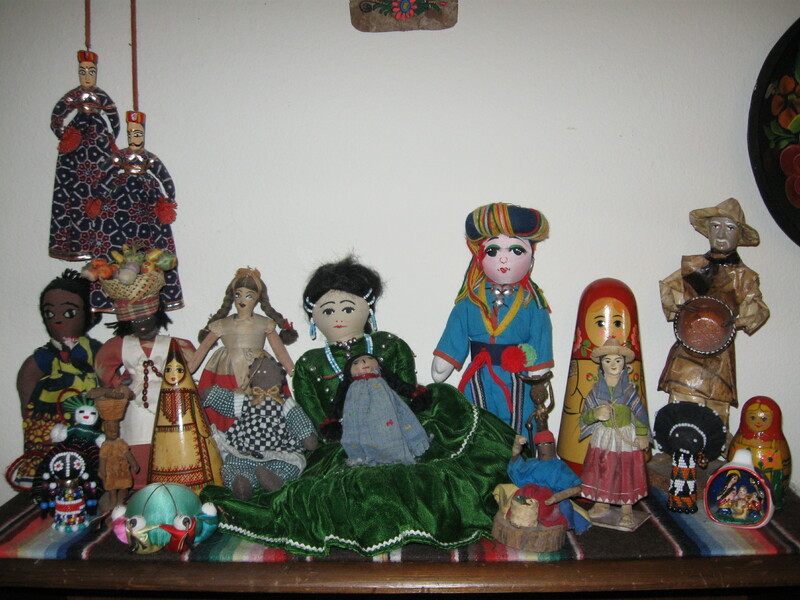 — A few members of my doll collection. Regardless of what I’ve found out, I’m not going to stop living my multi-culturally oriented life. While my ancestors pretty much came from those islands off the European continent, I know we’re all brothers and sisters under the skin. And I’m going to continue to steep myself in the world’s cultures, including my own English and Celtic cultures. 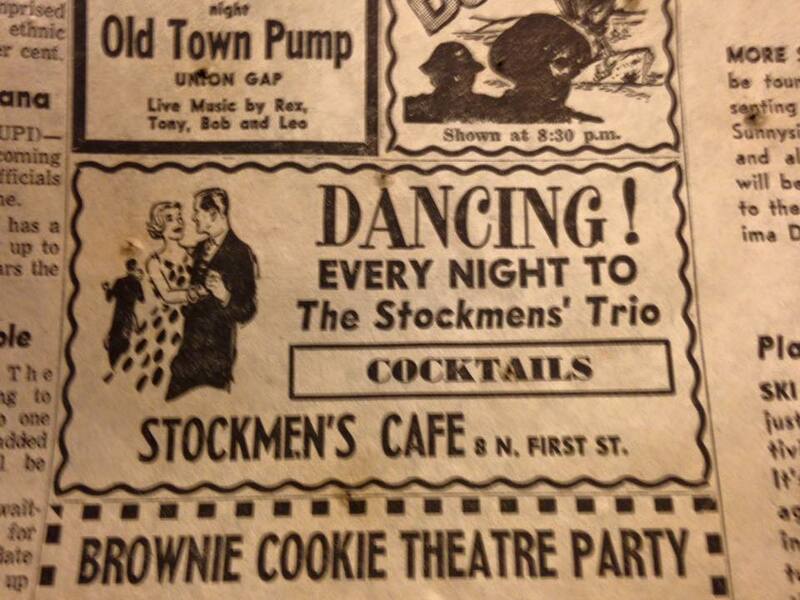 Keepin’ It Country At Yakima’s Stockmen’s Café With Smokey, Whitey and Montana! I’m afraid you’re gonna have to be an old-timer to remember along with me on this story. Oops! I guess that makes me an old-timer, doesn’t it? Yep…. This story tells how I took the first step in my journey from being a rock and rollin’ hippie, to becoming a real country picker. Along the way, I’ll introduce you to some good folks: Smokey, Whitey, and a gal called Montana. Smokey was a steel guitar player, Whitey played drums, and Montana was…. Montana! Having little in common, my slightly older brother Al III and I didn’t hang out much when we reached young adulthood. We hadn’t been close since we were in our single-digit years. That’s just the way it was. For one thing, a younger brother isn’t supposed to tower over his older sibling; but I did. That seemed to stick in Al’s craw. So we pretty much lived separate lives. However, one Sunday evening in 1970/early 1971, Al asked me if I’d like to accompany him to Yakima WA’s famous, or maybe infamous, Stockmen’s Café, where he said I could sit in on the country music jam session they were holding. My warm thanks to Michelle Yvette Palmer-Edwards for sharing this photo. Well, I’d never been to Stockmen’s. I was afraid to go there. I ran with a small bunch of long-haired hippies in Yakima, and we didn’t hang out in country taverns. — Especially Stockmen’s. (In later years, thanks to people like Willie Nelson, the long-hairs and the country folks got together. This was before that.) Anyway, it wasn’t just my immediate group who thought of Stockmen’s as a rough place, planted in a rough part of town (North 1st Street). Here’s a quote from James, a fellow member of a Yakima-related Facebook Page: “I hung out at Stockmen’s in the early 60’s. It was full of pimps, whores, junkies, drunks and the usual”. So yeah: we freaks in Yakima weren’t sure how the Stockmen’s folks would welcome us long-haired people; nor were we in a hurry to find out. I’d only been playing bars for a little while, and due to the above reasons, Stockmen’s wasn’t on my list of ones I needed to visit. I was still Randy the Rocker. I didn’t play country music. But Al said he knew a lot of good people there; he said he would introduce me around. And he said he’d tell the band leader to let me sit in with the band. Even though I was a blues-rocker who’d never, ever sat-in with a country band, I had listened to a ton of country music. I had what I considered a good job, in the late ‘60’s: I worked for Gibson’s orchard in West Valley. 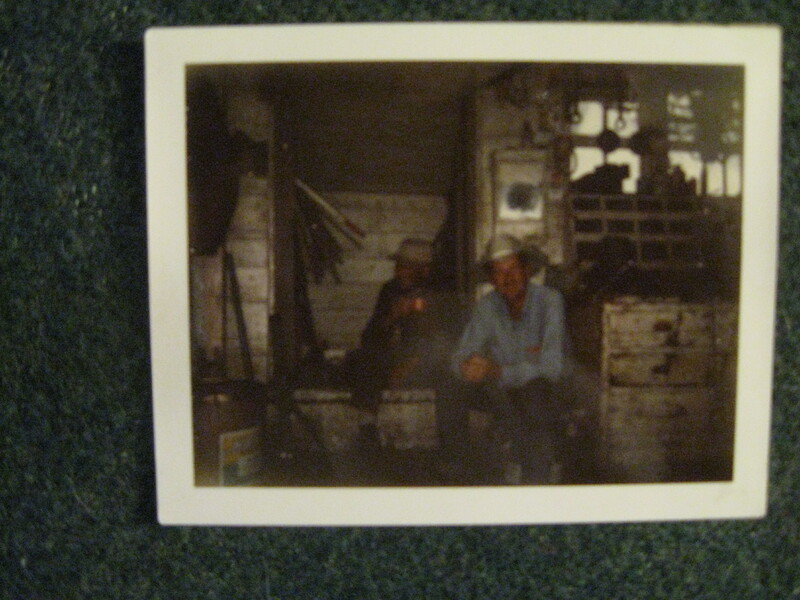 The foreman, Mr. Bitts, trusted me to work alone eight hours a day. My only companion was the radio in the Scout four-wheel-drive truck I drove, and/or the little portable transistor radio I carried with me in my pocket. And, “Country KUTI” was the only station I could get while toiling among the apple and pear trees I grew so familiar with. I normally listened to Canned Heat, Jimi Hendrix, the Beatles, the Stones, John Mayall and the Bluesbreakers, the Grateful Dead. 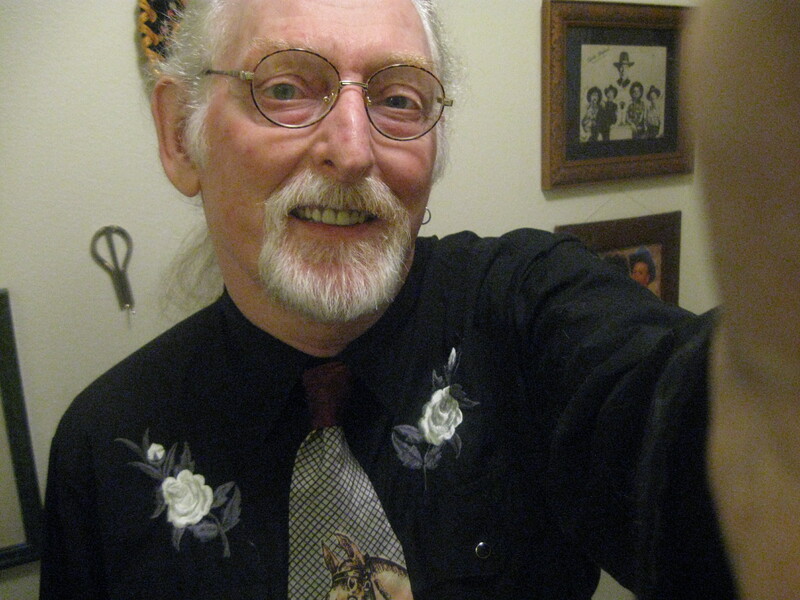 But in the orchard, for five days a week, I steeped myself in the music of Charlie Pride, Tanya Tucker, Bill Anderson, Porter and Dolly, Jack Greene and Jeannie Seely (whom I later performed with in Seattle), Conway Twitty, Buck Owens, Glen Campbell, and of course, the great Merle Haggard. And I have to admit: I had come to love the music, for its true-to-life stories, and for the musicianship the players displayed. So I was familiar with what was going on in country music. When Al and I arrived at Stockmen’s, I wasn’t intimidated about getting up on the bandstand and trying something new. I mean, jamming was what it was all about, right? So I was gonna jam with some country pickers. And perhaps, I’d show them a thing or two (or so I thought). Al and I sat back at one of the crummy tables, watched people dance, and listened to the band for a spell. The music sounded extremely simple to me, compared to a lot of the rock songs I’d played over the years. (I started playing in 1963, so by now, I’d been doing it for about seven or eight years). We listened as various people in the room got up and jammed with the band. There were singers, guitar players, and bassists, mainly, sitting in. The incident certainly broke the ice between the crowd and me. 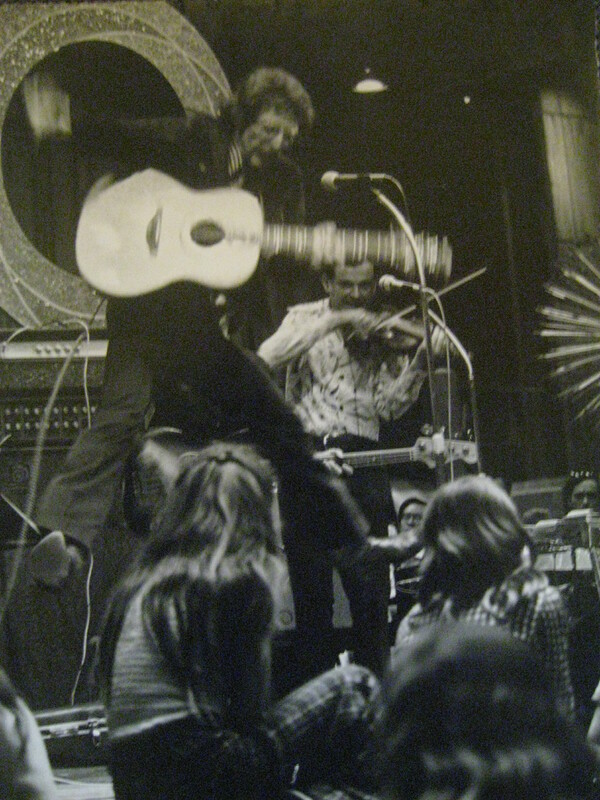 — While trying to gather my composure, and my dignity, I walked over to a cowboy-shirted guitar player I didn’t know, who was getting ready to hand me his electric guitar. He was a member of the band, and he was letting everyone borrow his guitar, if they needed one to jam with. 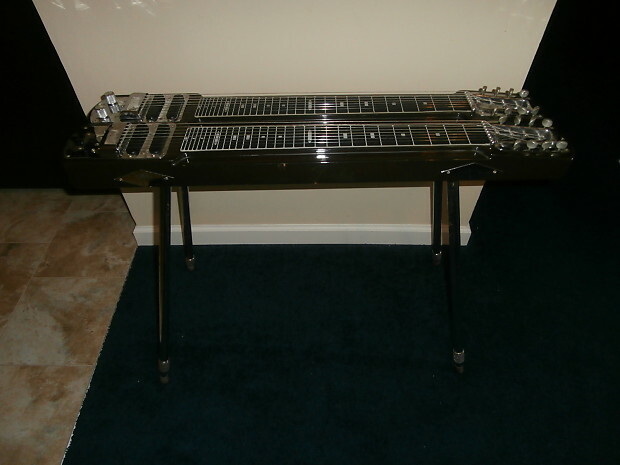 I found myself standing next to a man sitting behind a steel guitar, who introduced himself to me as Smokey Hamm. I looked back, and saw a dude who was an albino, perched behind a beat-up set of drums. He said with a big smile, “Hey, Randy, they call me Whitey”. I had been the star, or front man of just about every band I had ever been part of; I was always the one playing the melody on the guitar. In rock music, you’d often hear lead guitar going on at the same time as the singing. In a lot of my bands, we all just sort of played at once. Therefore, while this guy who also got up to jam took the microphone, and was singing a country song I didn’t know, but was faking my way through, I played a rather loud, lead guitar solo the whole time. Well, Smokey, sitting at his steel guitar, got my attention, and motioned me to lean down, so he could say something in my ear. He said, “Randy, in country music, you let the singer have the spotlight when he’s singing. Don’t play right on top of him. Later, you’ll get a solo”. – So just like that, Smokey imparted his little gem of wisdom I call “The Secret Of Playing Country Guitar”. A light went on in my brain. 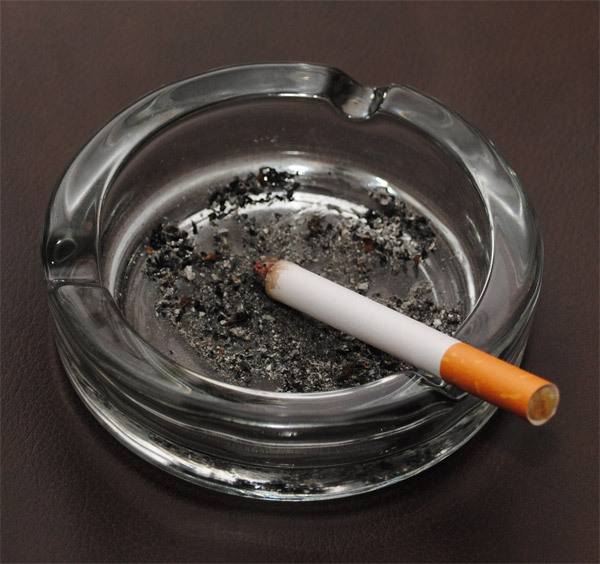 I never forgot what Smokey told me; and I never played on top of a vocalist again. When the vocalist had sung a couple of verses, he nodded at Smokey, who then played the most beautiful lead on his shining steel guitar. He slid his bar, or steel, as they’re called, all over the twenty or so strings; and he worked his volume pedal, so that he got a sort of crying sound out of the instrument. It was heavenly. It felt good to be right in the middle of everything! — Right when he put the finishing touches on his solo, Smokey looked at me and said, “Go for it, Randy”. So, I proceeded to play my first country guitar solo, with a real country band. I think it sounded like crap, after what Smokey had offered up to the crowd; but I did my best. I don’t remember if I sang anything with the band on that magical night, or if I just played guitar. 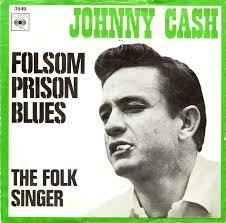 — The only country song I knew was Johnny Cash’s “Folsom Prison Blues”. (I remember practicing it in my bedroom one day in 1969, having found the lyrics in a Hit Parader Magazine. I remember saying to myself, “Hmmm, I wonder what Mom and Dad are thinking, hearing me play a country song?”) – So, I may have sung it. I’m not sure. It’s been at least 46 years…. I do know that I played a few more tunes with the guys. And I made damn sure that I waited my turn before playing my guitar solo! When I left the bandstand, I got a lot of compliments and hand-shakes from the Stockmen’s crowd. I told everyone that I was just learning; and I promised to get better. So I went home and started practicing my country picking every day. 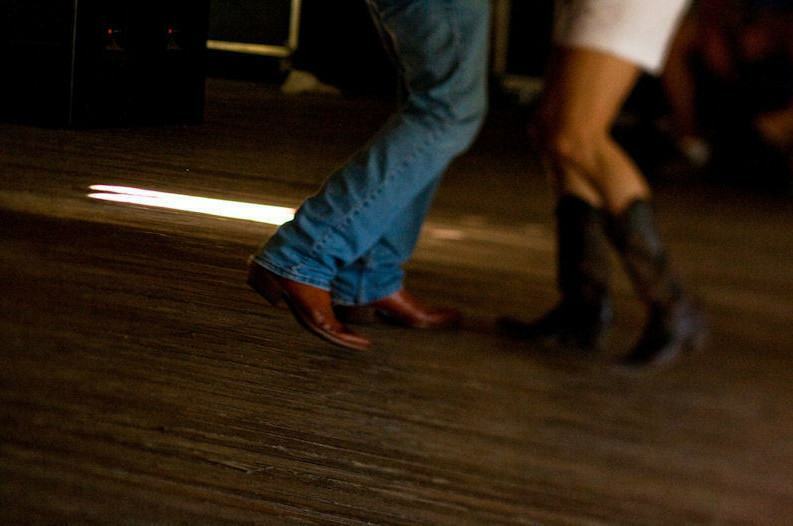 I soon realized that country music was not so simple. It was a very pure style that took one back to the roots of American music. I worked very hard at learning the ropes. And within a year, I was fronting (doing vocals and lead guitar) a trio at the Mayfair Tavern on Yakima Avenue. – Which I have written about. — But this came first. This had to come first. I had to meet a seasoned musician in a dive frequented by “pimps, whores, junkies, drunks and the usual”, who would know what changes I needed to make, and who wouldn’t be afraid to tell me, in a kind way. Thanks, Smokey. Thanks, Stockmen’s Cafe. Thanks, Yakima. That was the one and only time I visited Stockmen’s. I guess once was all I needed. I soon found myself hosting my own Sunday jam session at the Mayfair, for our club owner, Ted. Whitey the drummer came and sat in on a few occasions. I always gave him an extra-warm welcome, because he had put up with me when I was on his bandstand, when I was as green as they come. And not only that, but he always had something good to say about my singing and playing. Coming from him, it meant a lot. Because, as I said: Whitey knew me when…. I don’t recall seeing Smokey Hamm again; I don’t know how things wound up for him. I think I bumped into Montana a few times. But even if I’d only seen her the one time, I will never forget her. Because, come on: how could I? Whitey was the epitome of “laid back”; he had poor eyesight, as people with albinism often do, and (I think I can say this without being contradicted) he liked to drink. I think wine…. He wasn’t any sort of a flashy drummer; but he kept steady time, and yeah, he was easy-going. He was a person one would always be glad to see. Montana, as she was known to all, was a fairly young, definitely rough and tough gal. Not mean; but masculine, funny, and uninhibited. I’d say she was about twenty-eight. She indeed excelled at chugging beers, at least on the particular evening I hung out with her. As I mentioned, I’m thinking I may have seen her a few more times, where she busied herself being so much of a woman that she was almost a man! Smokey Hamm was probably into his upper-middle-aged years when I met him that night. I could see the wisdom written on his face — the confidence; and above all, the love he had for the music. He knew he was good, he was a natural at it; he didn’t need to be a show-off. Hey, it takes a computer brain to play the steel guitar. — I can’t do it. But a few gifted people figure it out, and make beautiful music on it. — People like Smokey. I still remember that confident, happy way he had. And I remember he had the kindness to show a young hippie boy the ropes, something that has benefited me to this day. — You could take what Smokey said, and apply it to daily life: don’t play over other people when they’re in the spotlight. And when your turn comes, go for it! I left Yakima in 1974, having played all of the country places that would have me. — And some wouldn’t. Some club owners would book only touring bands. They didn’t think it looked good to hire locals, even though Yakima had some of the best pickers this side of Bakersfield. — People such as bassist Dean Dutton (once, a young upstart bandleader who thought he was the hottest thing going in Yakima, needed a bass player. So he talked to Dean about it. He asked him, “Well, do you know any songs?” And Dean replied, “Only about four hundred”). Then there was the amazing guitar slinger Johnny St. Martin (RIP), whose cousin, Nokie Edwards, helped start the Ventures. There were singers Bobby Holt (who also taught me some lessons about keeping it country), Cole Shelton (whose signature song was one he wrote called Tina Marie), and Bob Holman (who is still going strong at 80-something). And of course there was my pal Stan Ruehlow, a man whose drumming could make any musician working with him sound better. 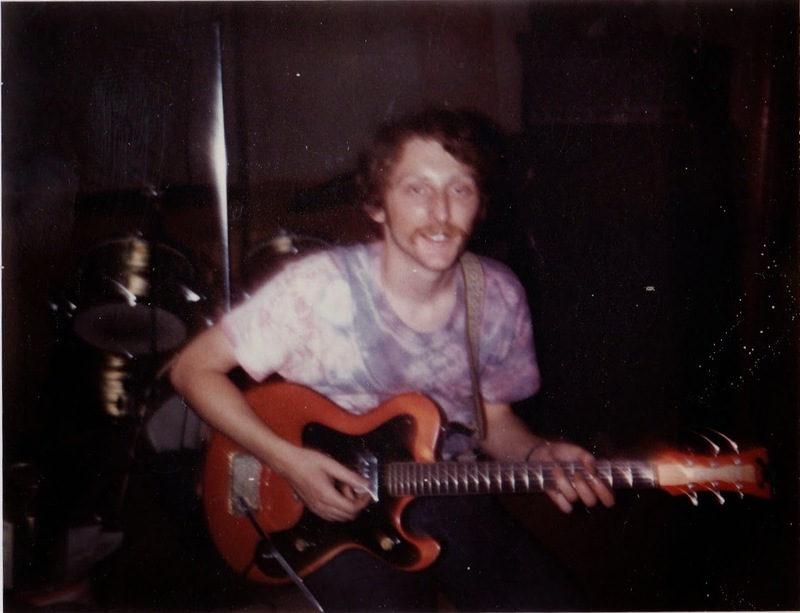 Playing the Seattle Center House, June 1975, winning the Grand Ole Opry Puget Sound Finals for their 50th Anniversary Talent Search. Anyway, I left. The ramblin’ fever hit me hard when I turned twenty-four, and Seattle called from across the mountains. I took what lessons I’d learned in Yakima, and applied them as well as I could, in Seattle. And those big city folks looked at me like I was a real country musician. — Well, that’s because Yakima made me one. Still keepin’ it country in 2017.